THE BRAINS behind the mega-popular card game UNO have delivered a second version to help fill the stockings this Christmas. 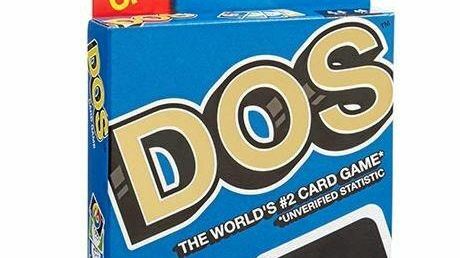 Mattel Games have unveiled a brand new version of the game, DOS. The original game saw countless family arguments and thrilling victories, which will no doubt be repeated. According to Mattel's website, DOS is a fun game for ages seven and up. "In this fun game, two is more important than one and numbers are king," the website reads. "To start, there are two piles in the middle of the participants, and on each player's turn they can play on both piles with either one or two cards. "In a fun twist, if a player has two cards that add up to the number of the card in the centre pile, they are able to put down both cards. "Just like UNO, DOS is a race to get rid of your cards before your competitors do. "The first person to 200 points is the winner. "And in a fun twist, now when you're down to two cards, don't forget to yell "DOS".